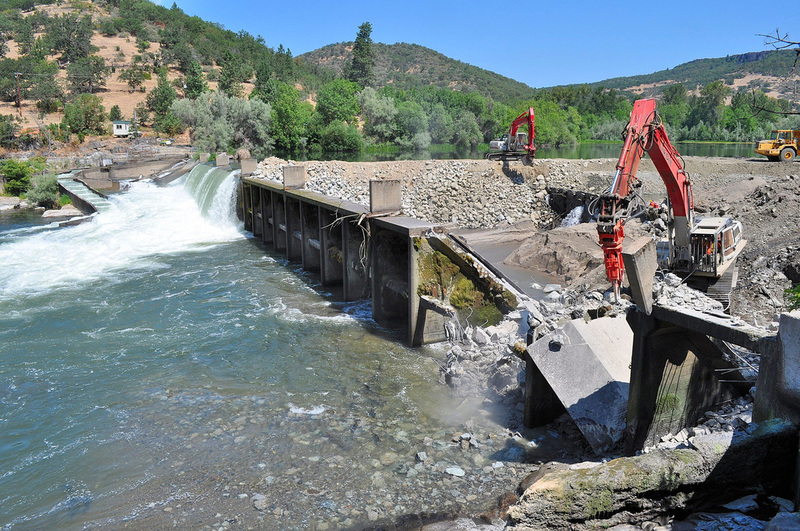 Because of the negative environmental effects dams have, more and more are being deconstructed. 80 dams have been torn down in the last 2 years. This is not without its drawbacks, however. Sediments trapped behind dams can block up waterways with its muddy texture. Not only does it wipe out the local fish's food supply (algae/insects), but if it is not washed down, then the muddy areas will serve as fertile grounds for noxious exotic plants. In order to combat the sediments, scientists test them for toxicity and weigh it against the cost and the waterway's ability to wash them away. If not, then sediment is released in small amounts. To this day, debates about the pros and cons of removing/keeping dams still arise, but it is all with the intent of benefiting everyone. All this time I thought dams were all positive. The good thing about them is that they provide 20% of all our electric energy and its all clean energy. Tackling the problem with trapped sediment by testing its toxicity and comparing it to the waterway's ability to wash it away is the safest way to ensure the well being of the local environment. I do believe that dams should continue to be deconstructed in a safe, eco-friendly manner.